Years back, it was Pirate radio stations that was the common terminology for the radio stations that were being operated illegally. They are still around today with many of them going strong. Now they have some competition from what is called garage radio stations, or the internet radio. 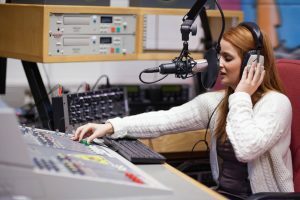 With the world of the internet, it has become much easier to set up a broadcasting network that doesn’t take a lot of time or money, and doesn’t put one into the same problems faced by the Pirate radio stations which use the airwaves for their broadcasting which leads them to legal problems. Even with garage radio stations gaining in popularity, it has not caused the still popular pirate radio stations to go out of business. These are still popular among the age group twenty-one to twenty-four, as well as the African-Caribbean community. What is making the garage radio stations so popular is that they are so easy to access, and there are many different varieties, so there is no shortage of music choices for those who have favorites. Plus, they are really easy to set up for those music buffs who are into broadcasting. They still have their own legal issues such as copyright, royalties, etc. Plus, the legalities that come with running contests that may have regulations attached to them that the broadcaster is not aware of, or chooses to ignore. Garage radio stations is a loose term because they are so easy to set up they can easily be done in whatever space is available like a garage. In general, the legal broadcasting entities are not happy with garage radio stations or pirate radio stations because they are just another source of competition. Legal entities partially profit from their advertising clients and they need good ratings to be financially successful at this.